Mount Barker will have a new private school by 2021 to meet the growing needs of the district. 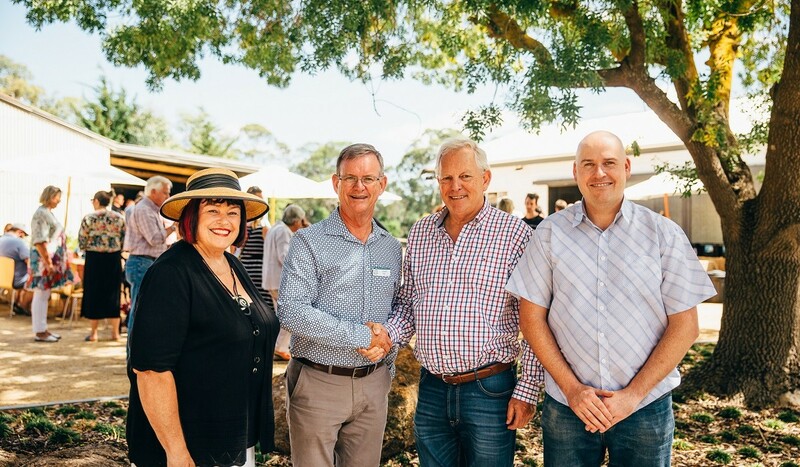 King’s Baptist Grammar School is planning to build an Early Learning Centre (ELC) to Year 12 school at the Newenham Development. At capacity, the Mount Barker campus will cater for up to 1,200 students, with the ELC to Year 2 classrooms to open first, followed by additional year levels. King’s Baptist has entered into an agreement to purchase five hectares of land on Bollen Road in Newenham, located next to the Active Recreation Reserve and Mount Barker Linear Trail. Representatives from King’s Baptist are working together with the Mount barker District Council to facilitate the development. 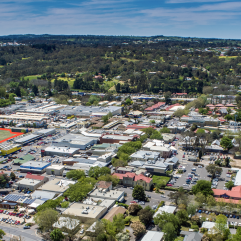 “This location has been identified in the council’s Mount Barker Growth Plan as being ideal for a school,” Mount Barker District Council Mayor Ann Ferguson said. “This school will provide further diversity of educational options increasing choice for our community. It will also enable tot pursuit of a strategic partnership approach to the use of the adjacent council owned land which has been purchased for future development of community recreational facilities”. With an investment of over $30 million, the school will crate up to 100 new teaching jobs over 30 years and another 275 jobs during construction. King’s Baptist Grammar School is a reception to Year 12 Christian faith based school located in Wynn Vale and this will be their second campus. Principal Russell Eley said they are thrilled to be opening a campus in the Adelaide Hills. 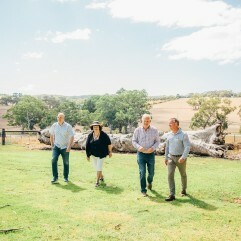 Newenham is a 100 hectare residential estate being developed in Mount Barker and will be home to some 2,000 residents over the next 10 years. 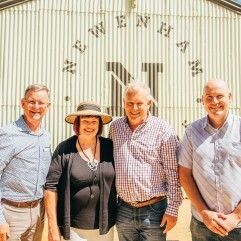 “We are excited that out Newenham residents will have access to quality private education just moments from their own home and will be able to travel to the facility on foot or bike on the Linear Park Trail,” Burke Urban Managing Director Kym Burke said. Applications for enrolments will start in 2019, and these enrolments will be confirmed in 2020. Article written by Melina Scarfo, Weekender Herald. Appeared on Thursday 15 February 2018. 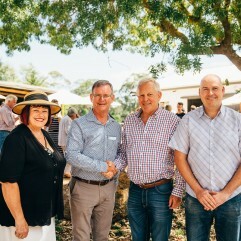 Photo: Launching the new school at the Newenham Resident’s Event were Mayor Ann Ferguson (left), Russell Eley, Principal of King’s Baptist Grammar School at Wynn Vale, Kym Burke from Burke Urban (Newenham) and Cameron Hawke, right, from the Baptist Churches of SA. If you’d like to know more about securing your future at Newenham, see our land for sale or call our Sales Consultant, Ben Walker on 0429 107 497. You can also visit the Sales & Information Centre, open every day from 12 – 5pm at 164 Flaxley Road, Mount Barker.